Chris is a creative design architect with a wide range of experiences working in the UK and overseas. He is adept at working through the initial stages of a project, defining early concepts and driving innovation and creativity. 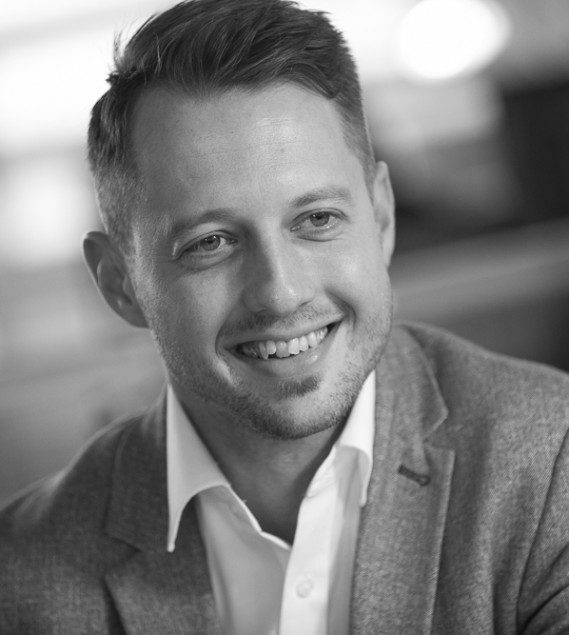 Since joining LOM in early 2012, Chris has worked extensively with banks in the UK, West Africa, Middle East and Turkey including RBS, Ghana Commercial Bank (GCB), Commercial Bank and ABank to develop business strategies, manage rebranding exercises and deliver new branch concepts across the retail branch network. For RBS Chris has been leading multiple coordinated workplace projects across their property portfolio to support a cultural change programme, maximise efficiencies and reduce costs. At the heart of the transformation is the bank’s 350,000sqft group headquarters. Chris studied at the University of Newcastle upon Tyne and was awarded the William Bell Scott sponsorship for excellence in design and nominated for the RIBA Bronze Medal prize in Architecture. Upon graduation Chris relocated to Glasgow where he worked for a design led practice on single, multi-residential and masterplanning projects. During his time in Glasgow, Chris was selected to display work at the Royal Scottish Art & Architecture exhibition.